Caring for one’s oral health is one of the most essential and basic day-to-day activities in everyday life. However, even though it is so basic and regular, not many people do it correctly, and they often do not know how to do it. This results in a variety of problems, sometimes with dire effects. 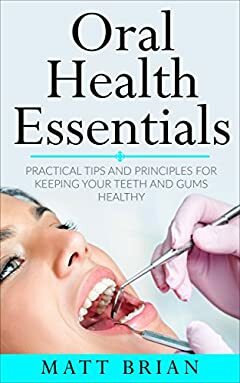 In this book, you will find information on what oral health is and why it is necessary to take care of it regularly. You will also find information of how proper oral health can allow you to prevent many diseases and disorders. Lastly, you will find a variety of tips, tutorials and tricks that can be used to achieve a glowing smile and a healthy mouth and fit body. Chapter One: What is Oral Hygiene and why is it Important? Chapter Two: What Does Your Oral Health Reveal About You?